In this series of reports, we highlight key findings of our European Smart Home Market Study which was carried out during 2011 with a view to anticipating how the market will develop over the coming years. We undertook the research by interviewing and exchanging information with the top players and stakeholders around Europe, and the resultant study is the one of the first to comprehensively analyse all of the available knowledge on smart home technologies and generate reliable market data. The project includes nine in-depth reports on different European markets: Germany, France, UK, Netherlands, Belgium, Norway, Sweden, Denmark, and Poland. In this issue, we summarise the results from Germany. 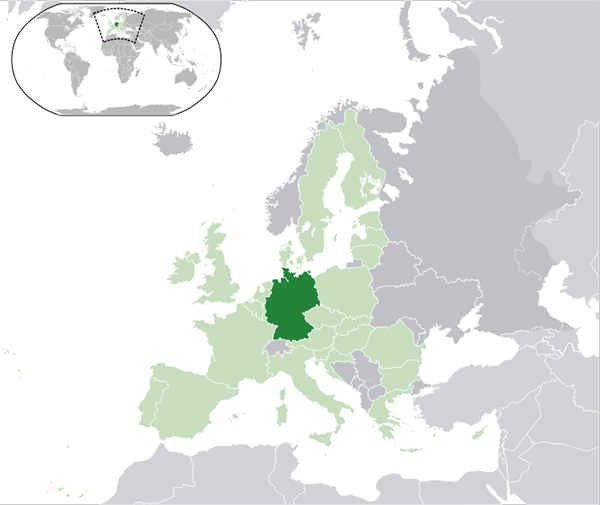 Germany as part of the European Union. The German smart home product market is currently dominated by electrical installation players and their international parent companies. The market for smart home products in 2010 totalled EUR 180 million, but adding systems integration including planning, installation and commissioning, the market value was estimated to be EUR 240 million. The smart home product market grew by 22% during the period 2008-2010, but despite its huge potential, it is still in its infancy, as around 60% of the smart home products are actually installed in commercial buildings. With its emphasis on insulation of walls and roof, triple-glazed windows and energy-efficient heating, the share in the zero/low-energy home is still very small, whereas half of all residential installations are in luxury villas and luxury apartments. The main drivers for the long-term development of the smart home market are energy efficiency and safety and security, while in the short term, it is convenience and comfort and a bit of ‘wow factor’ in the luxury end of the residential sector. The most common applications in a smart home system are lighting and blinds control, followed by room automation of heating and ventilation, fault alarms, timers and remote control. The major obstacles preventing the smart home market from becoming a mass market on the supply side are that there are no mandatory regulations for smart metering and a lack of skilled installers, while on the demand side, it is low awareness amongst end-users, and high prices. Most smart home installations go into new housing, while refurbishment of existing housing stock, which holds the largest potential is developing very slowly. To release this potential, competitively priced, cost-effective solutions, most probably wireless-based products need to be introduced to reach the mass market. KNX is the most popular protocol used in smart home systems. 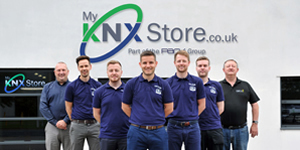 However, manufacturers complain there are insufficient trained KNX installers, a fact that has been being addressed by the KNX Association. The German Government decided against a mandatory roll-out of smart metering, opting instead for a competitive market model. It is not surprising then, that the HEMS market in Germany is even less developed than the smart home market, since energy suppliers were not moving forward with the roll-out of smart meters. This was reflected in the total market size in Germany in 2010 being worth only EUR 15 million. Most of the German energy providers, of which there are over 800, do not offer smart metering, and hence no general availability of HEMS to their customers. 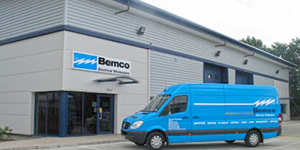 Most HEMS products sold are for testing or pilot projects, which are estimated to be between 100,000 – 200,000 homes. However, a push is expected with the introduction and integration of the EEBus – an interface for energy management functions between the energy supplier and the customer in intelligent power supply systems – with the KNX environment, linking the Smart Grid with the Smart Home. KNX is currently the acknowledged standard protocol in Germany, and is available both as wired and wireless system. There are a few remaining proprietary protocols, but they have little market influence. Wireless communication protocols include ZigBee, EnOcean and Z-Wave, with ZigBee being the most popular. Almost all of the German smart home manufacturers, including ABB Busch-Jaeger, Siemens, Gira, Hager, Jung and Merten, use KNX as their product protocol. 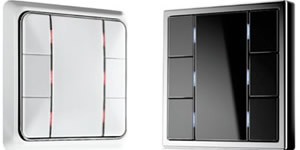 ABB Busch Jaeger is the leading brand for smart home products, and has a major presence in most Western European countries, especially in German speaking countries. 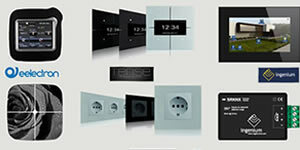 All ABB Busch Jaeger’s products are KNX based. The middle field is occupied by Gira, Siemens and Hager/Berker with 45% of the market, and Jung and Schneider Electric hold 19% of the market. Share of smart home market in 2010 by manufacturer. It is estimated that out of a base of 75,000 electrical installers, around 10% have some knowledge of systems integration (most of them are KNX members), but only around 1% were expected to fully understand and be able to install complete smart home solutions. According to a leading systems integrator, KNX-based smart home systems can start at EUR 20,000, but realistically will cost EUR 40,000-60,000 with ‘medium’ functionality, while top-end systems easily reach EUR 100,000. Other estimates put a basic KNX system starting from around EUR 7000. Assuming that the scenario of a low base of skilled installers and low awareness amongst end-users of smart home technology will not have changed dramatically over the period of this study, the forecast assumes growth over the period 2011-2013 of 20%. User interfaces were expected to grow faster than system controllers due to the trend towards smart phones and mobile touchpanels as an additional user interface, while field devices and other system components were predicted to retain the largest share. 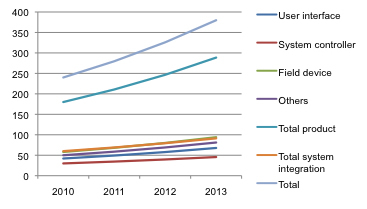 Expected growth of different smart home products during 2010 – 2013. KNX already being a common standard should help market growth, but with some industry experts estimating the current ‘pain threshold’ for a smart home system being EUR 500 – a far cry from a basic KNX system costing EUR 7000 – the gap must be decisively narrowed. If the German Government were to introduce stricter regulations, market penetration of smart home technology would speed up. Currently, smart appliances are only at an introductory stage, with some simple on/off control. However, major companies, amongst them Bosch Siemens Hausgeräte and Miele, plan to become smart appliance manufacturers and have pledged to offer or have already products with KNX communication capability. Vaillant, which calls itself the ‘leading supplier of intelligent systems for domestic comfort’ is also part of this movement. 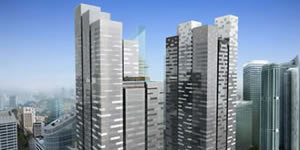 This market is expected to have grown by about 30% by 2013. Another interesting growth area is Ambient Assisted Living (AAL) once more services become available. AAL aims to combine smart technology with the home environment to create a smart living environment providing services to improve quality at all stages of life. Piero Russo is a Senior Market Research Consultant for BSRIA, a specialist consultancy that offers worldwide market intelligence across a broad range of building infrastructure products and services.